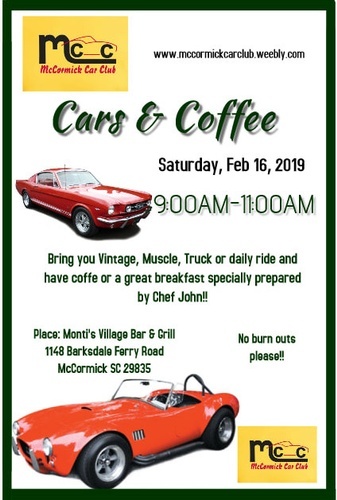 McCormick Car Club will be sponsoring Cars and Coffee on February 16, 2019. Bring your Vintage, Muscle, Truck or Daily Driver and have coffee or a great breakfast specially prepared by Chef John!! No admission fee, just the cost of coffee or breakfast.